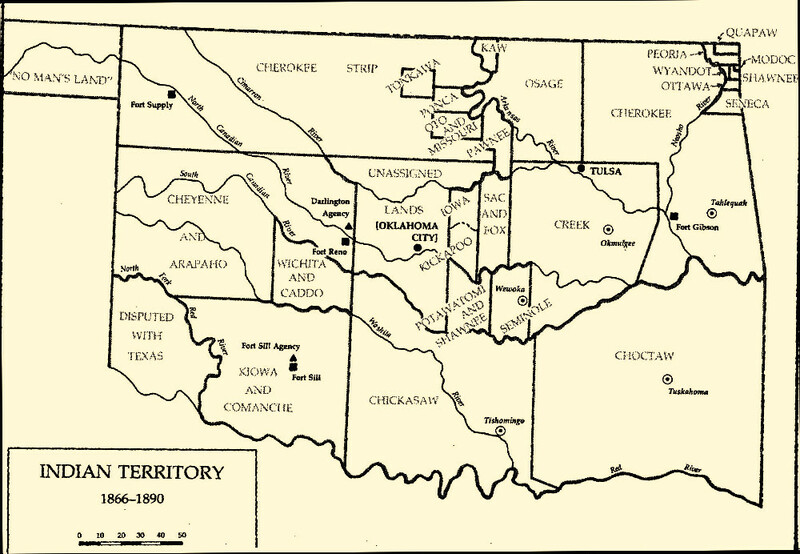 Map of Indian Territory in Oklahoma, 1866-1890, showing locations of the Kiowa and Comanche reservation, Fort Sill, and the Cheyenne and Arapaho reservations. Note locations of Fort Supply and Fort Reno, which were supply points for the military and later, for the reservations. Graphic adapted from Utley 1984.